By default Windows 8 does not have the ability to preview PDF files like images in Windows Explorer or other apps like Office 2010. 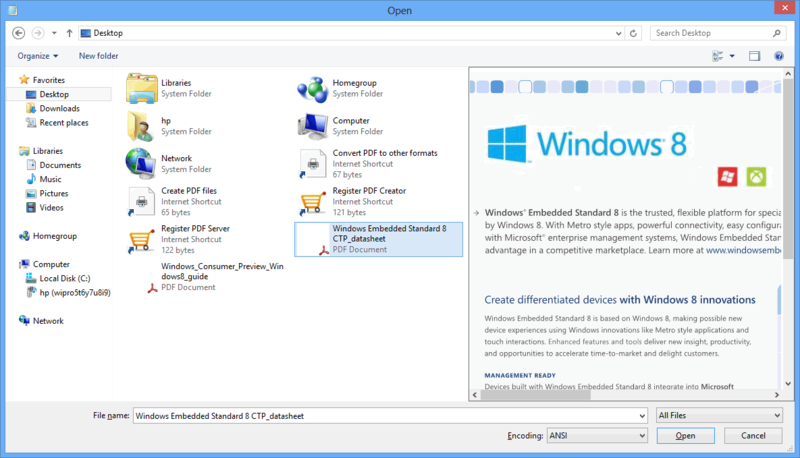 PDF Preview allows PC users to preview PDF file in Windows 8 without opening. This product is designed for Microsoft Windows 8 x64 (64-bit) and x86 (32-bit), Microsoft Windows 8.1 64-bit/32-bit, and is NOT backward compatible with Microsoft Windows 7. However, Windows Server 2012 is another supported operating systems.